Keep your fluid cooler and eliminate the chance for sloshing with the Deep Aluminum Transmission pan! 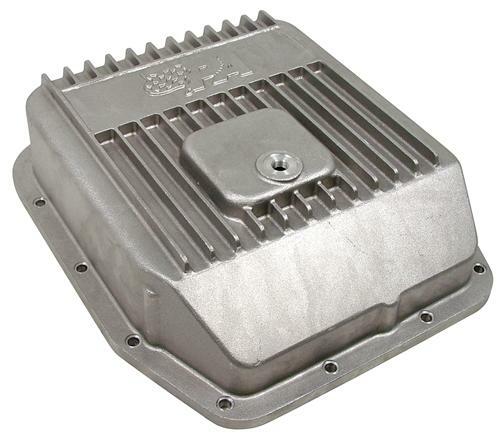 This pan fits 83-93 AOD, 94-95 AODE, 96-04 4R70W automatic transmissions and increases fluid capacity by 2 quarts making for more efficient cooling. Its aluminum construction, which is much stronger than a stock steel pan, mates better with an aluminum case, increasing rigidity and eliminating leakage. Aluminum also promoted faster heat dissipation for further cooling of your transmission. All these features, along with a drain plug for ease of service, make this the perfect transmission pan for show or go!